Emu42 v1.22 is released. 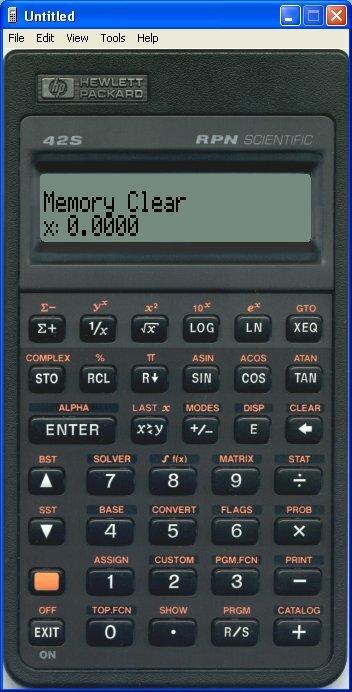 Emu42 is an emulator for the Pioneer series calculators HP14B, HP17B, HP17BII, HP27S, HP32SII and HP42S and for the Clamshell series calculators HP19BII and HP28S. It base on the sources of the famous HP calculator emulator Emu48 and is published under the GPL. The emulator PC version is running on all Win32 platforms and the Mobile version should run on all ARM CPU based Pocket PC 2002, Windows Mobile 2003 (SE), 5.0, 6 Classic and Professional versions.